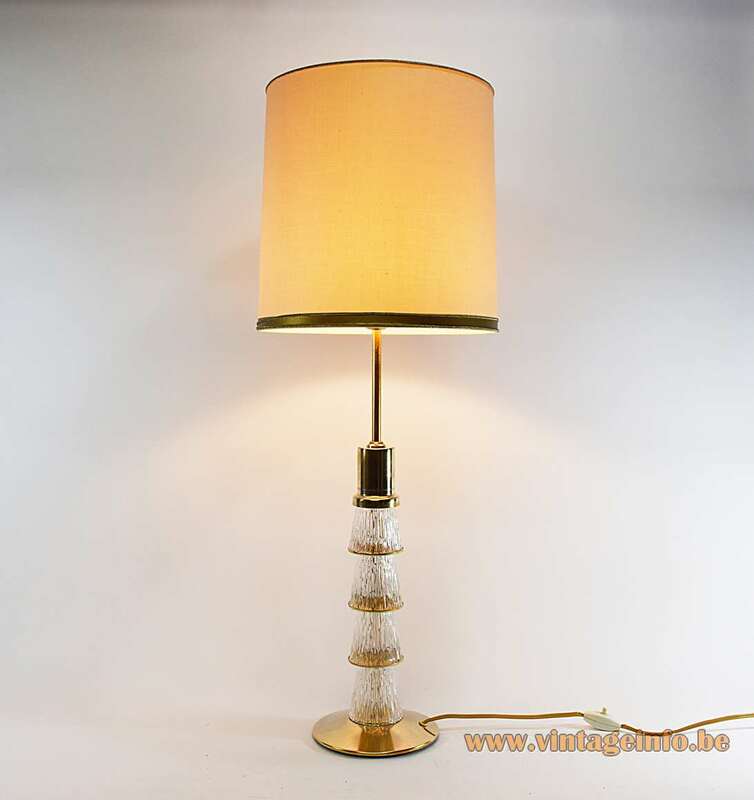 Materials: Polished round brass base. 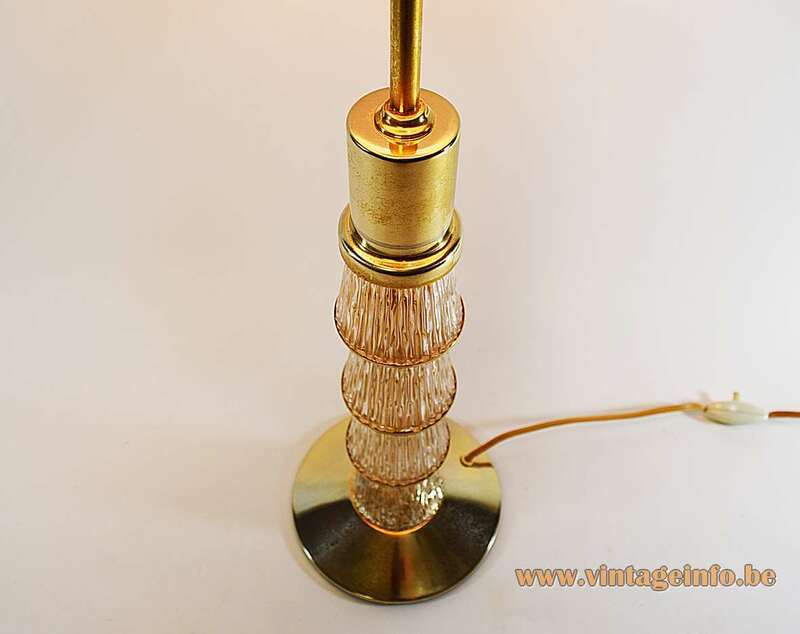 Brass rod and parts. 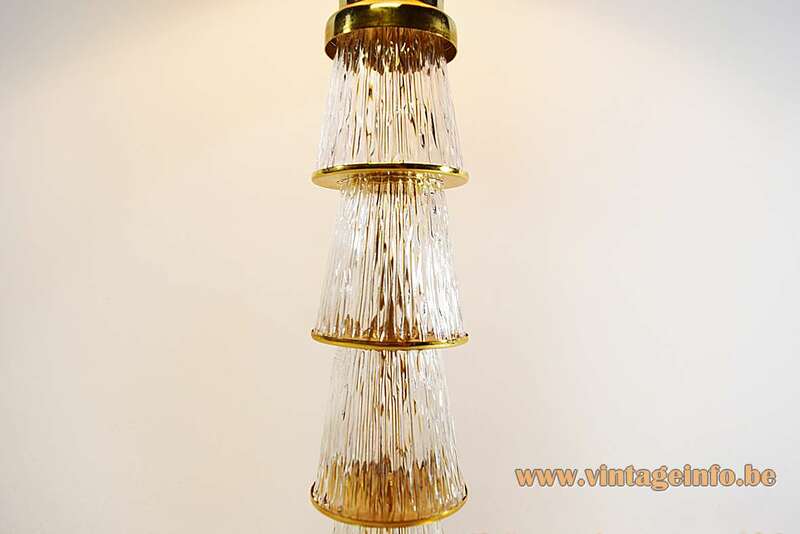 4 embossed conical crystal glass tubes. 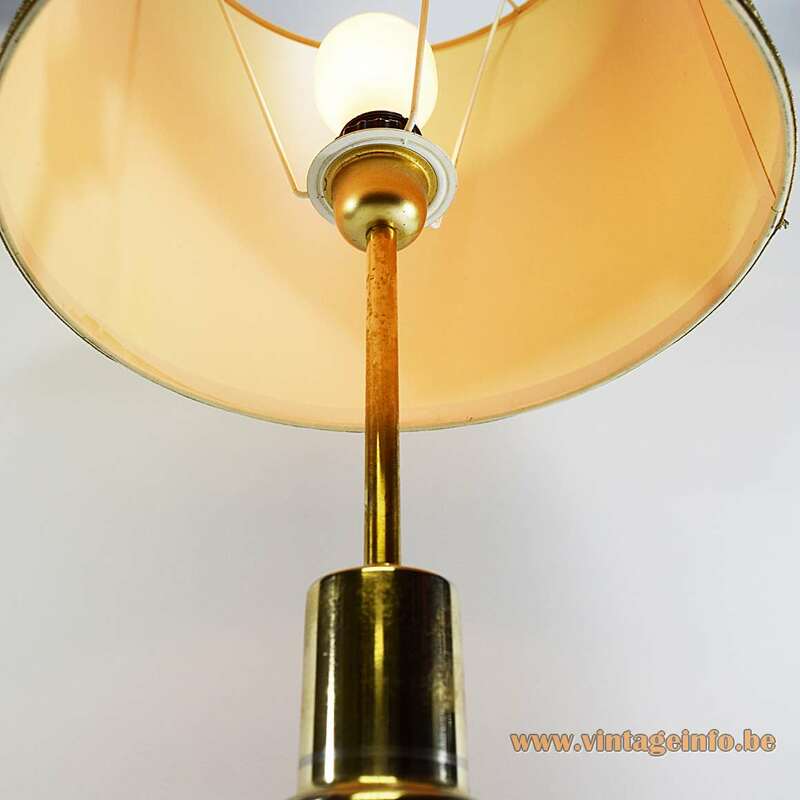 Fabric lampshade, Bakelite socket. 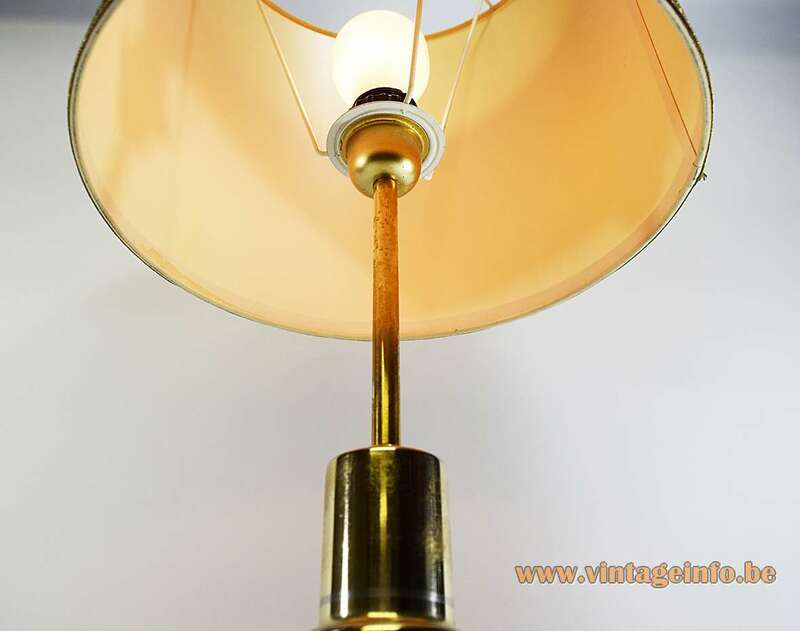 Similar lamps were made by the Murano manufacturers Seguso and Barovier&Toso, but also made by Orrefors in Sweden, designed by Carl Fagerlund (1915 – 2011). Also Kaiser Leuchten (Gebr. 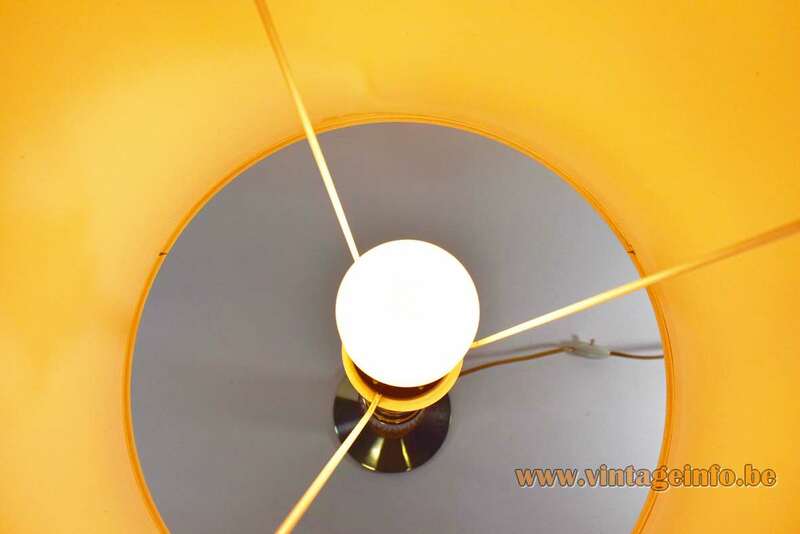 Kaiser & Co. Leuchten KG) and Berman from Germany made similar lamps. 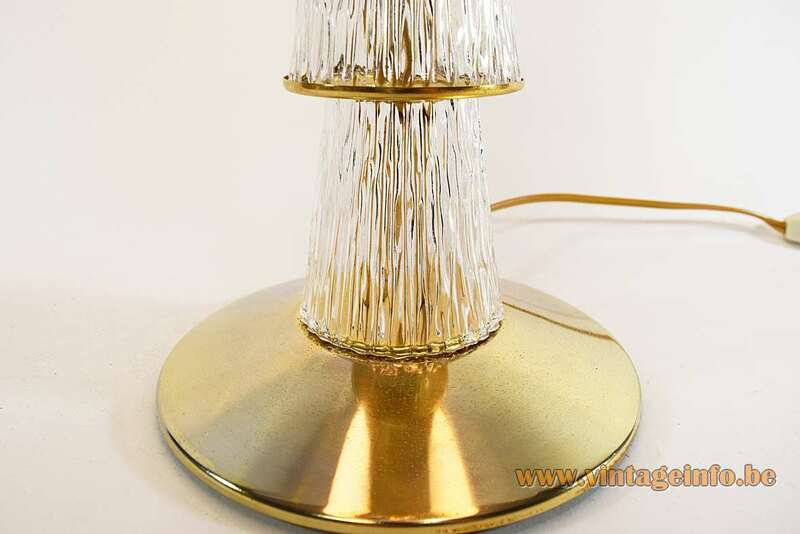 Kalmar Franken from Austria also produced similar lamps. 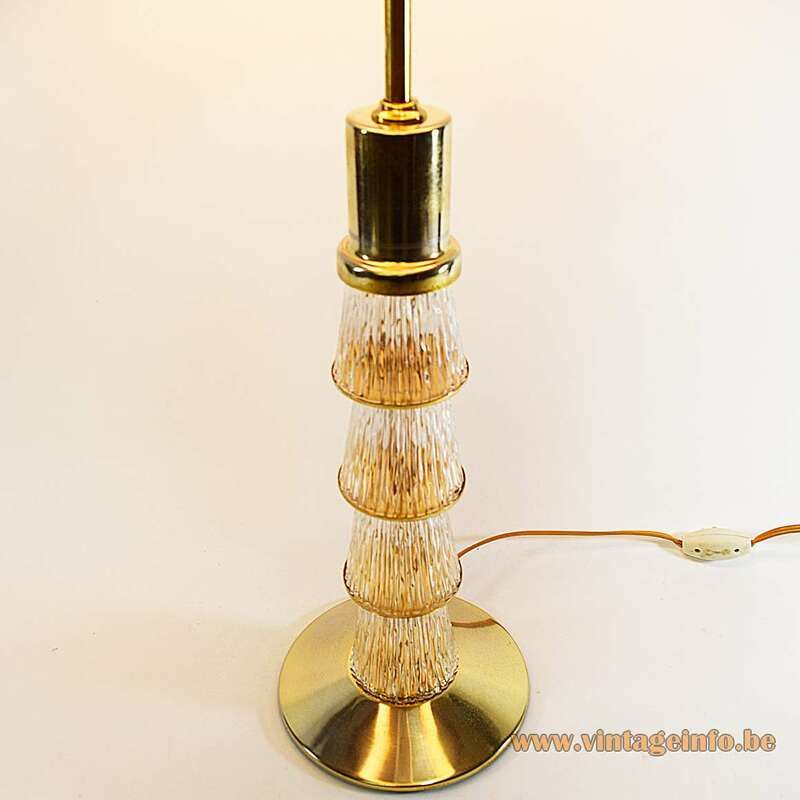 A table lamp made by S.A. Boulanger from Belgium is also on display here on Vintageinfo.